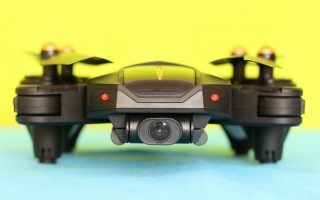 Walkera just announced their second generation of Furious racing quadcopters. 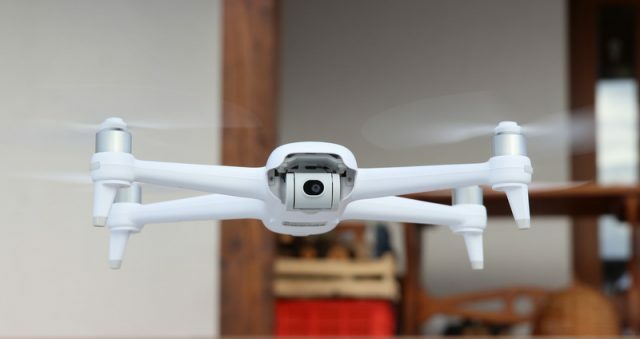 This new model has a much smaller size (215mm instead of 320mm). 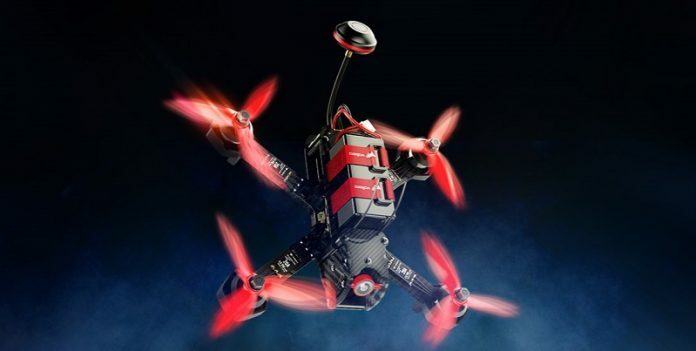 At first look, thanks to the black carbon fiber frame and red propellers, the Walkera Furious 215 has a very professional design. In front of the aircraft is located a 600TVL camera with angle adjustment. According to the specs, the FPV range is up to 1.5Kms (in open field). 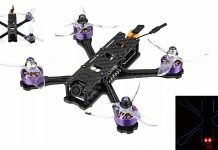 Like most of the Walkera quadcopters, this Furious 215 is also delivered in bundle with the Devo 7 transmitter. 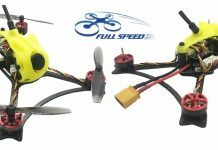 Thanks to the high voltage battery (4s and 60C), I’m expect the Walkera Furious 215 drone to be super fast and agile. About 8-9 minutes of flight time. For more details visit the manufacturer’s website here.